Ryan Hall is one of the founders of excellent Denver-based blog Tome To The Weather Machine, which shines a slanted light on the outliers of making sounds. 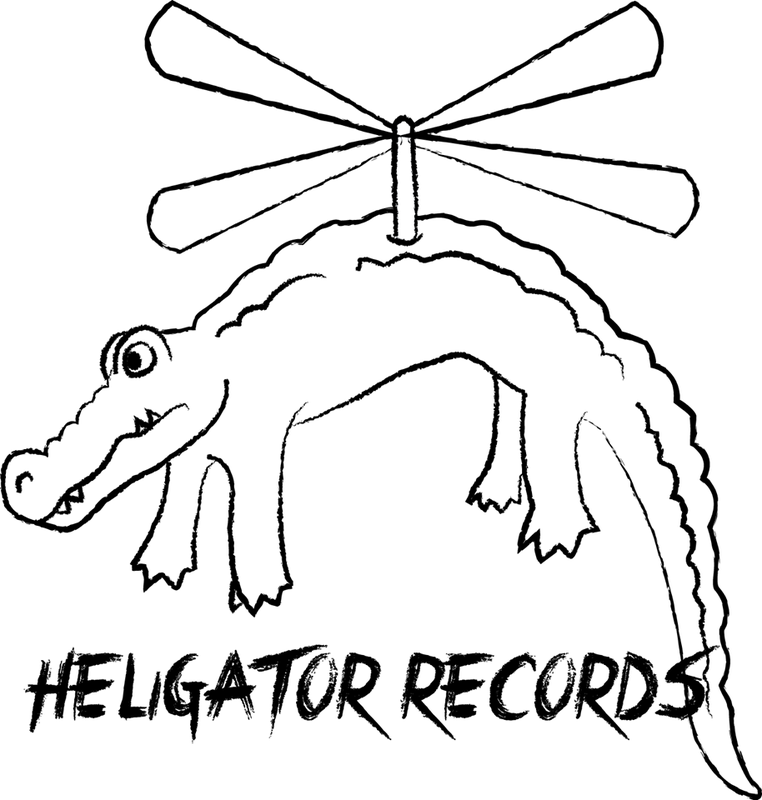 He is also responsible for Heligator Records, a label extension of this outlook that showcases original pieces made especially for the project. I have mentioned a couple of their releases in the past, most notably Lake Mary and Nathan Wheeler. What makes the label even more important is where the money raised goes to. All money raised is donated to the Malindza Refugee Camp Library in Mpaka, Swaziland.The money goes to maintaining the library and providing a small stipend to the volunteer, refugee librarians. The library is home to over 1,500 books, two computers as well as English and French classes taught by refugee volunteers. To learn more about the Library and where your money is going please visit the Library's blog. The last four albums to come from the roster are just as beguiling... I actually started writing up a review of Make-Overs' self-titled EP back in July, the South African duo donating the four tracks for the cause. There is a uneasy juxtaposition between the melodious arrangements that teeters from a sunny disposition to one of wary disdain - a slowed down, metronomic post-punk that never fully pulverises nor pulsates (although 'Sharp Teeth' tears through and holds its own), but rather seeps through the defences. 'Never Enough' reminds me of a downbeat Pixies, whilst 'Jellybean' percolates like The Stone Roses at their most embryonic. The best song though is opener 'Surprize' - it seethes, sullen yet persistent, brooding yet pugnacious. Utah guitar manipulator Braeyden Jae (who has his own collation of out-there artists with Inner Islands), donates 'Switches', a six minute rolling opus of glacial electric discharge, a sonic stormcloud building inexorably on the horizon. It never exults in a deafening apocalyptic implosion however - by the song's end we are revitalised and reborn. It's a beautiful track. Oakland surfers of the outer realms Clipd Beaks threw their chips in the ring with 'FKWRK', a roiling psych jam that starts as a subtle simmer, a few glimpses of broiling hermetics, before a rawk explosion hits, the distortion/delay/flange/hallucinogenics kick in, the reedy calls become wails...and we are wasted. All within three and a half minutes. A lot of people forget that good psych can be short. Clipd Beaks haven't. So as you can see, you the listener gets a lot out of this pay-for-music malarkey as well as knowing you are contributing to an extremely worthwhile cause. Win-bloody-win.